To complete the diverse requirements of our clients, we are offering an optimum quality Lead Screw. Our offered screw is highly demanded in the engineering and many other industries. This screw is an integral part of all types of machines. Our dexterous professionals take utmost care while manufacturing this screw, to ensure superior performance and usage. 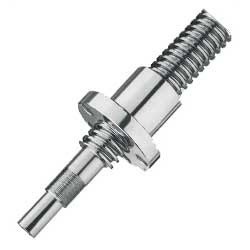 Our offered screw is available in two types that are thread rolling lead screws and thread cutting lead screws.